The rugged terrain of entrepreneurship requires grit, stamina, the ability to read the signs around you, underneath, over and behind you. It also requires the ability so see things that others may not be able to see at first, and to hold onto that vision until it becomes reality. A successful entrepreneur needs high adaptability to ride the waves, cycles, ebb and flow that comes with taking action to make that vision come alive. As an entrepreneur you handle many tasks, skills, communications, planning, leadership and need a high level of risk taking. Every day you walk without a safety net. The entrepreneur is commonly seen as an innovator — a generator of new ideas and business processes. Management skills and strong team building abilities are often perceived as essential leadership attributes for successful entrepreneurs. 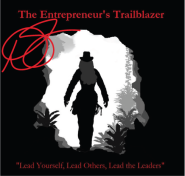 A trailblazer is one that makes a trail to guide others : a pioneer; an innovator, a person who does, or discovers something new and makes it acceptable or popular. A person who marks or prepares a trail through a forest or field for other people to follow. Debbra Sweet is that kind of person. She’s an Entrepreneur. She’s a Trailblazer. She’s the Trailblazing Entrepreneur. Her whole life has a history of being around business, seeing things others do not, and taking the risks to be different, to dream big, and most importantly take action to accomplish things that others thought would never work – or could not work. When others say things cannot work- she shows them how it can. When others told her things she envisioned were ‘too big’ or ‘would never happen”, patiently, persistently, she forged the path that made them happen. Examples of her trailblazing showed up at an early age. She was always being told to ‘find a real job’ when she wanted pursue music as a career. She became a contributing author to a New York Times best selling book after a creative writing teacher flunked her, saying: ‘you don’t have talent to write’. Then there was the time when she hopped in her car, drove across country to move to San Diego barely knowing a single person with countless people telling her she ‘shouldn’t, couldn’t, wouldn’t’…only to Thrive in the Southern California coast. There were also the times when doctors told her she had multiple sclerosis. She kept telling them: “No, I don’t. Tell me the real reason why I can’t walk”. People have told her for years, ‘you expect too much, you dream too big’. No matter the talk of others, the circumstances or obstacles that were part of her life, Debbra has been steadfast on her vision of purpose. Along the way she consistently shows that she’s bold, intuitive, highly focused and not afraid to ‘go for it’ in order to live a life that is full, meaningful, and without regrets. That same passion is what has helped her be a successful entrepreneur for many years- and is the same determination that she leads other entrepreneurs with. Entrepreneurship requires bold thinking, determination, the willingness to get knees scraped, and the grit to ride ride through the terrain that is before you. The smart ones realize they can do more in a shorter amount of time with the right guide. The right leadership. The smarter ones become the guide to help others blaze their trails. Business is a risky adventure. It’s an invigorating journey, but even the savviest of trailblazers understand the importance of assessing the terrain in order to cut the safest path to get you to your destination successfully, and know it’s best to ride with the pack. That’s the benefit Debbra Sweet brings others. Successfully building, selling, starting, growing businesses and leading others to do the same in less time. She’s been there. Done that. She currently walks the walk of entrepreneurship and will continue to do so for the rest of her life. When you want a genuinely caring, fiery, feisty, energetic, passionate leader to guide you on your journey to build a solid, profitable and meaningful business, be bold! Contact Debbra and discover how to blaze trails together.